There has been lots (and increasingly more) discussion about Dolby Atmos in home theater installation lately. 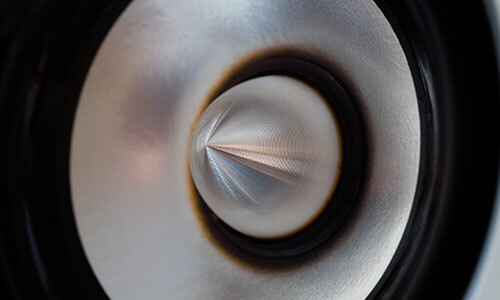 What is Atmos, and should you be interested in it for your Home Theater installation? Here are some points you may want to know. Atmos is a new surround processing technology, much like Dolby Surround Sound. But Dolby Atmos adds another dimension, height, to the surround sound mix. The bottom line is that it adds a new level of realism to the surround sound experience. It makes the theater room experience that much more immersive. Immersion is the point of a high-quality audio and video Home Theater installation. If done properly, technology can help us forget that we are sitting in our theater room, and instead “suspend our disbelief,” and become part of the action on screen. When it works well because of a well-designed home theater setup, it can be an exciting, powerful experience. Dolby Atmos adds to this immersion by allowing the sound designers in the mixing studio to precisely place objects in the sound field in your theater room. It does not add more channels in the traditional sense. Instead, Dolby Atmos uses an object-based technology in order to move objects and sonic events around your theater room. This increases the realism of your audio experience and helps you to feel even more immersed the action on screen. 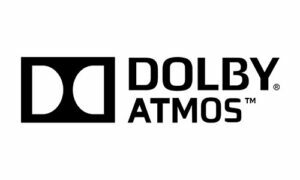 What is required for a Dolby Atmos theater room? Proper design is critical. Proper home theater speaker placement is absolutely essential. If speakers are poorly placed, you will not have the experience the film’s audio designers expect you to have. It is essential to get the right help in this area. They will help you to look at your theater room, whether existing or new construction, and determine where the best placement for speakers is, based on size and shape of the room, and location and design of the seating area. You may end up with a 5.1.2 room, or a 7.2.4 room, or some other variation. The first number is the number of traditional surround sound speakers. The second number is the number of subwoofers. And the third number is the number of Atmos speakers you will be using. You will also need to add the right equipment. First, you will need a new receiver. There are many to choose from. All Atmos receivers have at least 7 channels of amplification, some have 9, and a couple even more. And then you will need additional Atmos speakers. These come in 2 varieties. They can be mounted in the ceiling, or they can be mounted on top of your existing speakers. These then are aimed to reflect sound off the ceiling to be reflected in the listening area. Both of these methods can work very well. When possible the ceiling mounted speakers are to be preferred, but very satisfactory results can be had from the speaker mounted type as well. One other side benefit is that even soundtracks which have not been created as Atmos soundtracks have an extra dimensionality when played back on an Atmos system. If you have not yet experienced a Dolby Atmos home theater installation, give us a call at 970-217-7018. Our primary theater demo room is an outstanding Atmos room. You will be treated to an exceptional demonstration of just how immersive audio and video can be, when designed and executed properly.